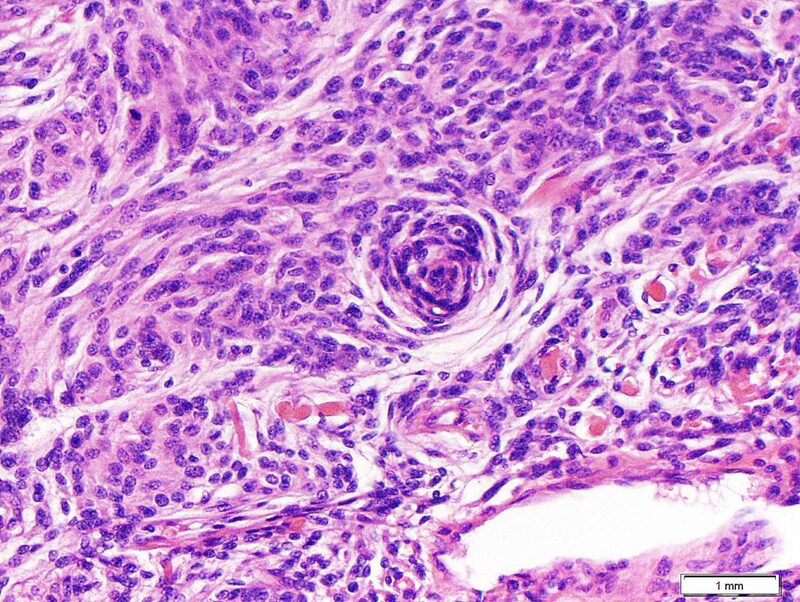 Histologic Description: Large portions of this lesion are entirely consistent with a grade 1 meningioma, in that the lesional cells are bland and form well-developed whorls. Some nuclei, which are bland, demonstrate characteristic intranuclear inclusions. 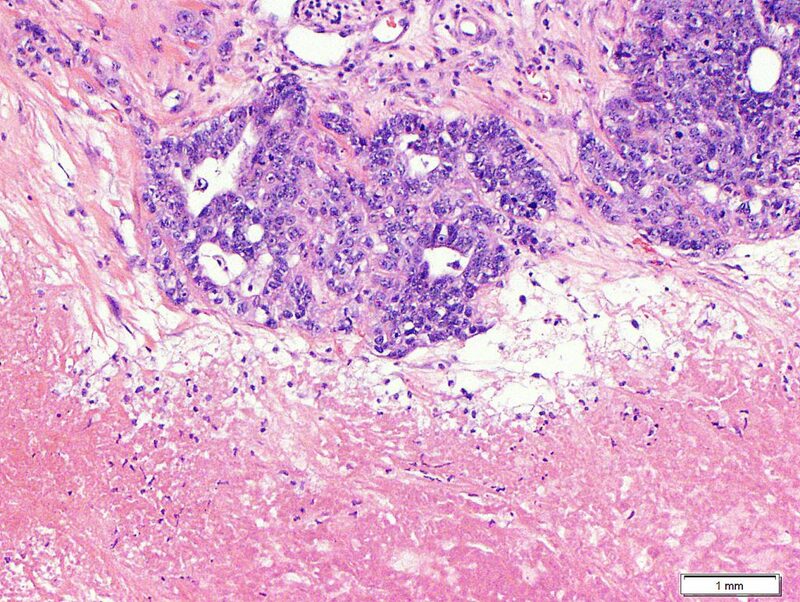 However, associated with the meningioma is a high grade adenocarcinoma with extensive necrosis. 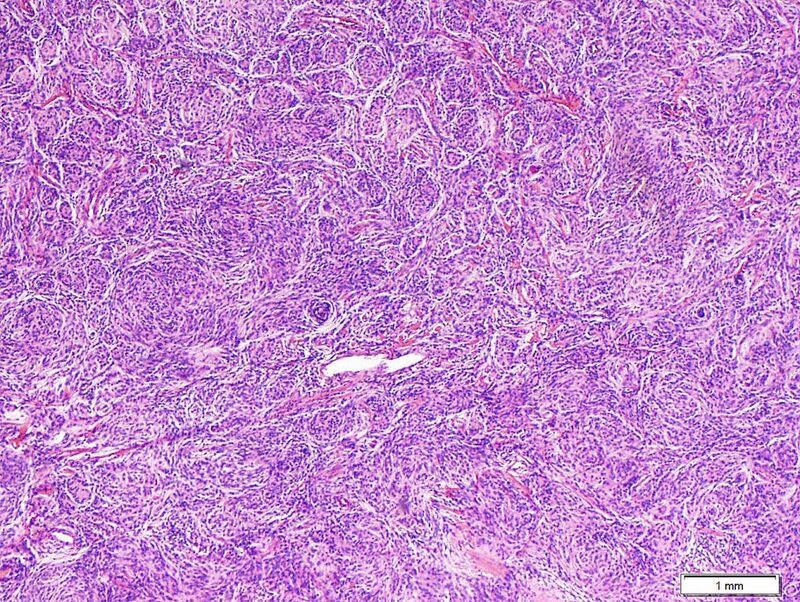 This represents the metastases of the patient’s concurrent duodenal adenocarcinoma. 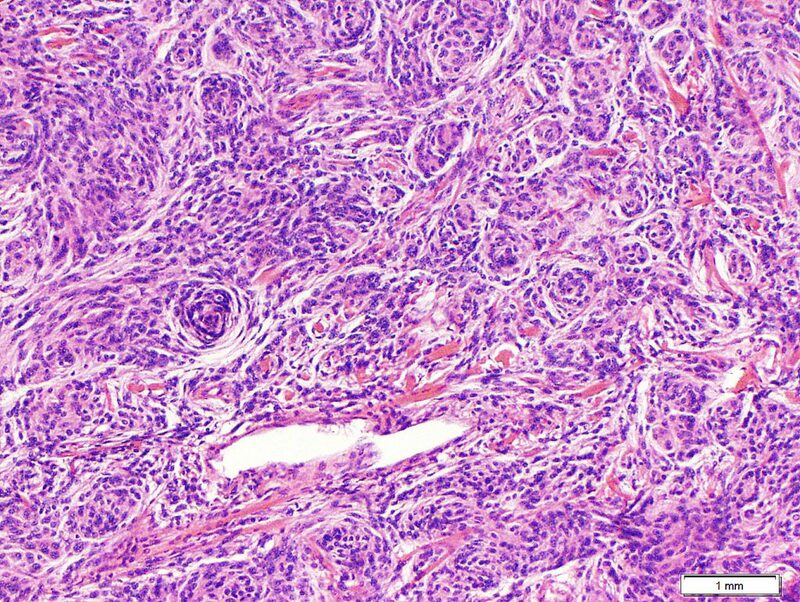 Differential Diagnosis: Sarcomatoid carcinoma would demonstrate greater atypia in the spindle cell component, and would not demonstrate the characteristic morphology of meningioma. 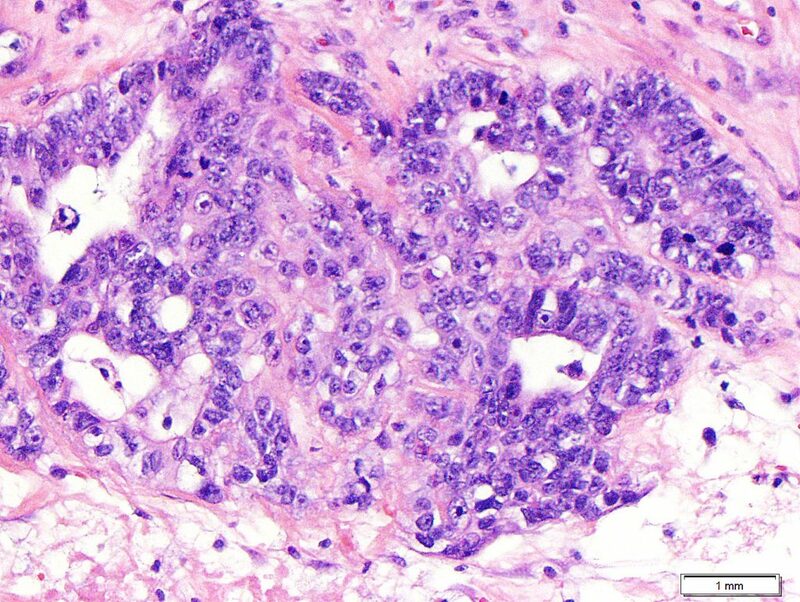 Malignant meningiomas are characterized by increased mitotic activity and sheet like growth, but gland formation would not be typical. 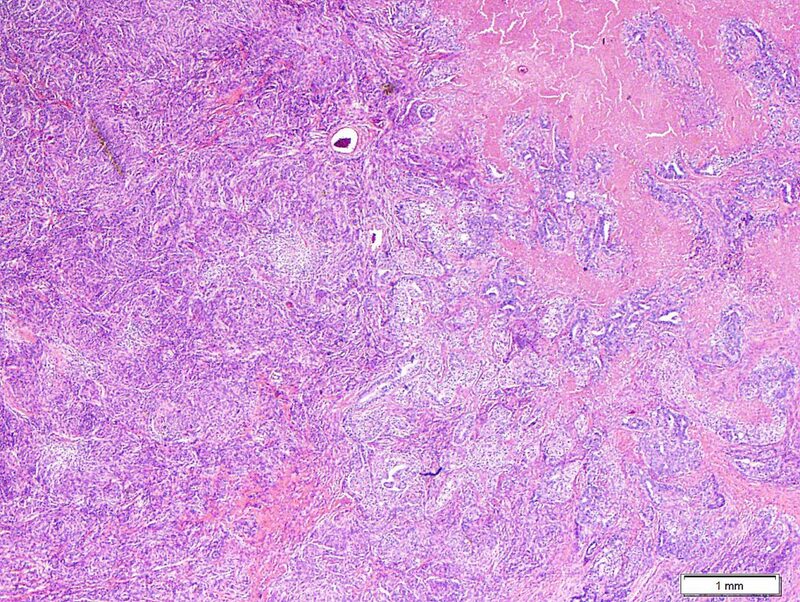 The diagnosis of metastatic adenocarcinoma alone would ignore the meningioma component of the current lesion. Meningioma is a frequent recipient of metastasis, particularly breast cancer.